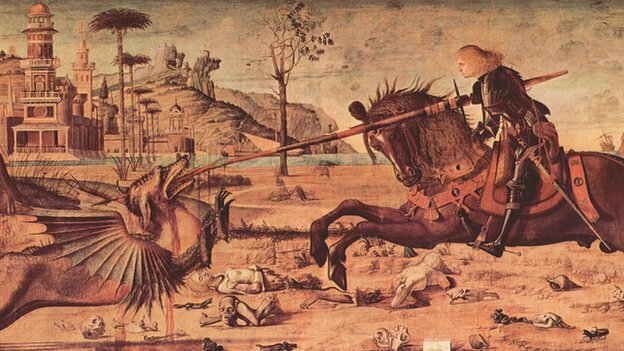 St. George’s Day: Why do we celebrate this patron saint? 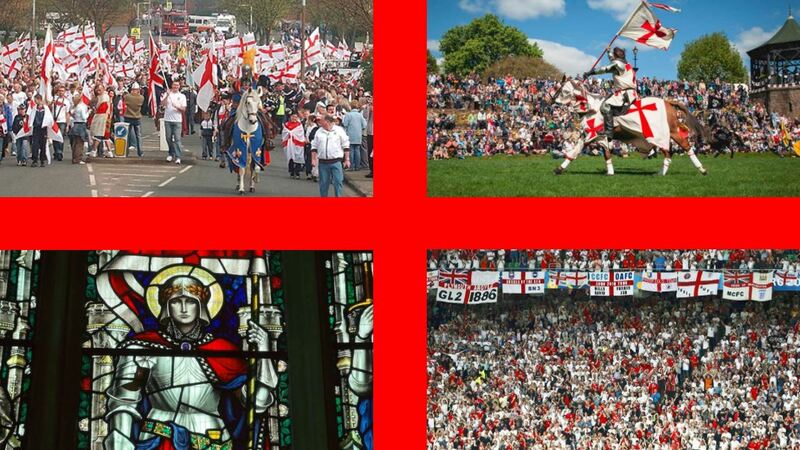 St. George’s Day is coming up on the 23rd of April! Most English people have the heard the age-old tale of George and the Dragon, but are you aware of the actual history behind the legend? 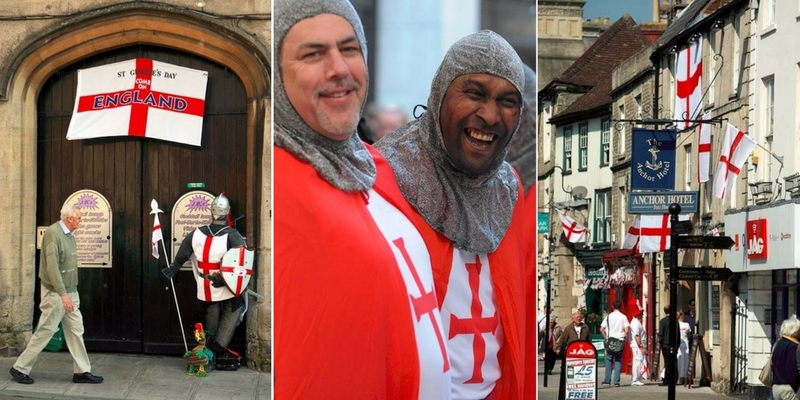 If you’re proud to be English, or just really like wearing red and white together, you’ll likely want to know when this festival is celebrated. We’ve put together some inspirational ideas on how to celebrate St. George’s Day, but before we get to that we’ve also included a brief history of St. George’s Day. Enjoy! To begin with, St. George’s Day is celebrated on the 23rd of April every year as this is the date traditionally accepted of his death in AD 303. The legend says that England’s patron, St. George slew an evil dragon that was plaguing a local town and saved a princess. The holiday is traditionally Christian as the story says that St. George offered to kill the dragon only if the town converted to Christianity. Some versions of the story also say that the king offered his daughters hand in marriage to whoever killed the dragon. 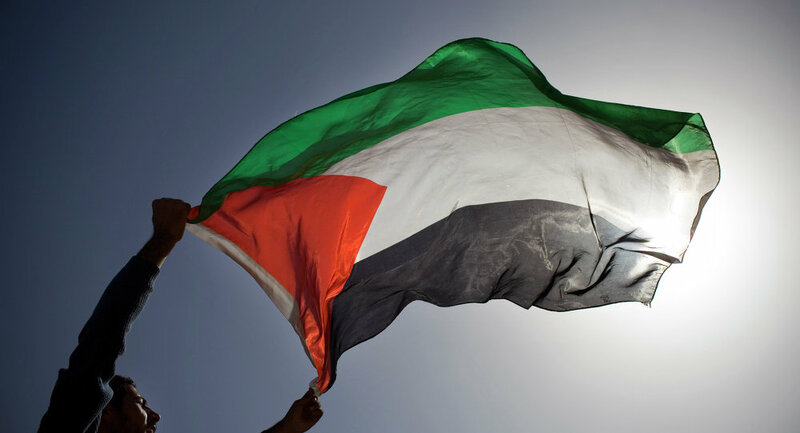 Historical evidence, however, points to the ‘real’ St. George as living in Palestine. During the third century, he is said to have followed in his father’s footsteps and became a soldier in the Roman army and was eventually executed for his Christian beliefs. St. George isn’t just the patron saint of England however, he is also the patron saint of Ethiopia, Georgia and Portugal, as well as cities such as Freiburg, Beirut, and the Russian city of Moscow! By chance, St. George travelled to the city of Silene in Libya. At the time, the city of Silene was being terrorised by a ferocious sea-dragon. The king commanded the inhabitants of the city to sacrifice their children one by one to the dragon – until inevitably came the time for the king’s own daughter to be sacrificed. George promised the king that he would kill the dragon if the entire city were baptised. The king did as George asked and George killed the dragon thus saving everyone including the Kings Daughter (the princess). 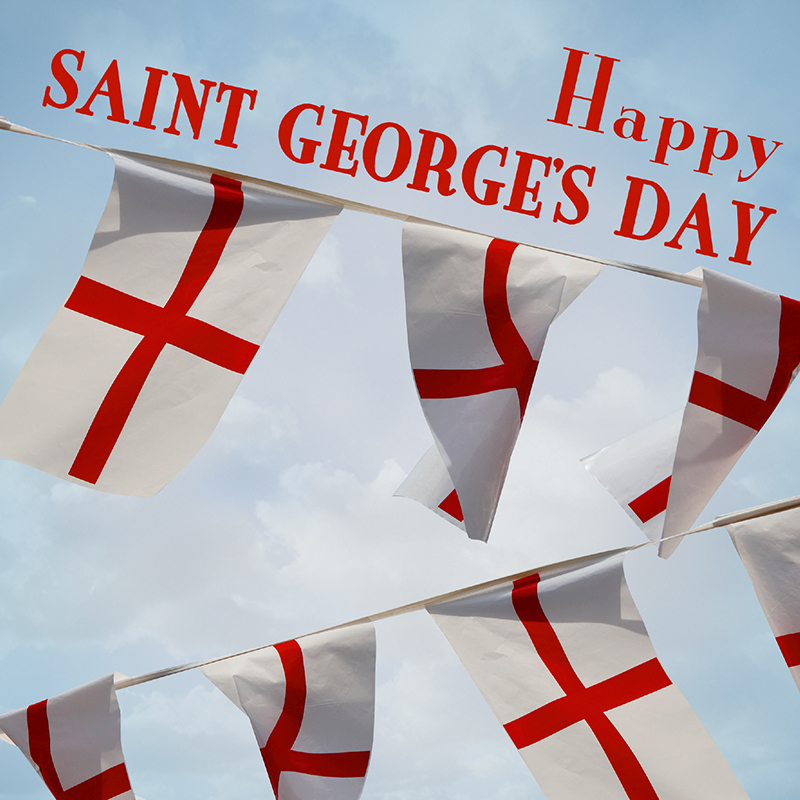 St. George’s Day became a national holiday in England in the early 15th century, remaining until the tradition dwindled after the union with Scotland in the late 18th century! When it comes to decorating a St. George’s Day interior, it is really quite simple. As the day is based on national pride and celebrating the Patron Saint of England, the two main themed colours of the day need to be Red and White. Be sure not to use the colours of the Union Jack flag! Using the colours of the Union Jack and hanging Union Jack flags up is a common mistake when it comes to St. George’s Day. 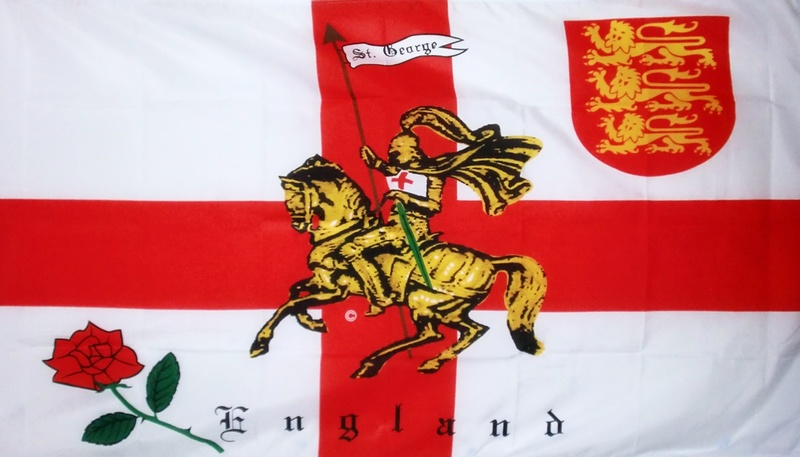 St. George’s Day is an English celebration rather than that of a British celebration, meaning it only requires the English flag instead of the Union Jack (which represents Scotland, Wales and Northern Ireland). 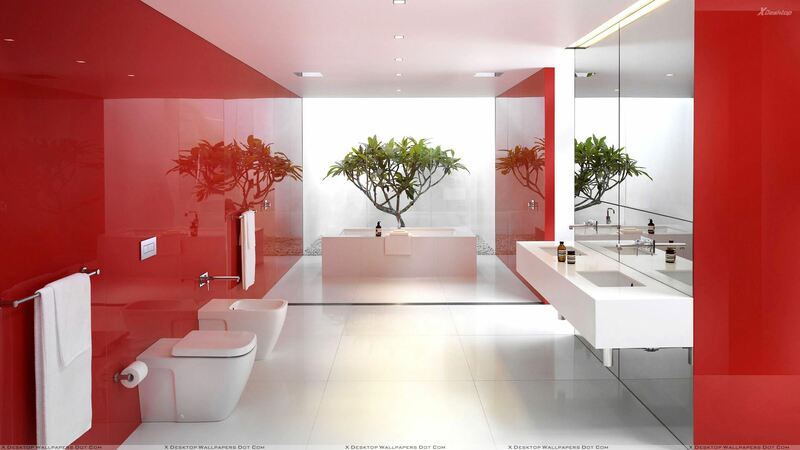 There are many ways to incorporate red into your interior – some are subtler than others. 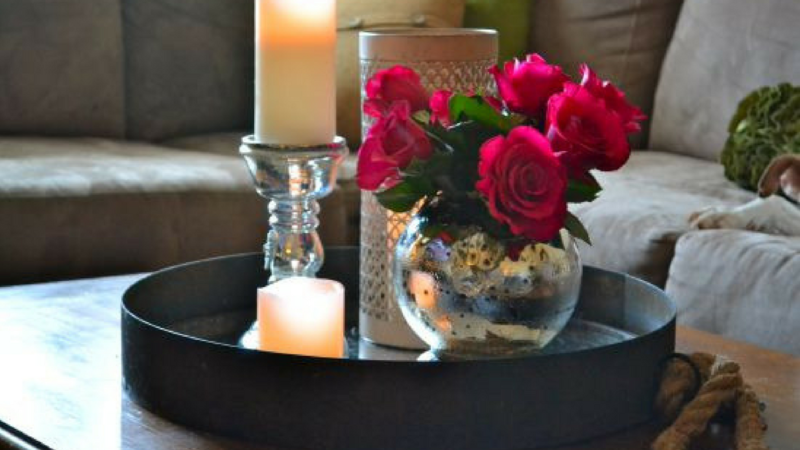 If you want a temporary and subtle bit of red in your interior, get some red flowers! Roses are the obvious choice when it comes to red flowers as they’re one of the most popular red flowers available. 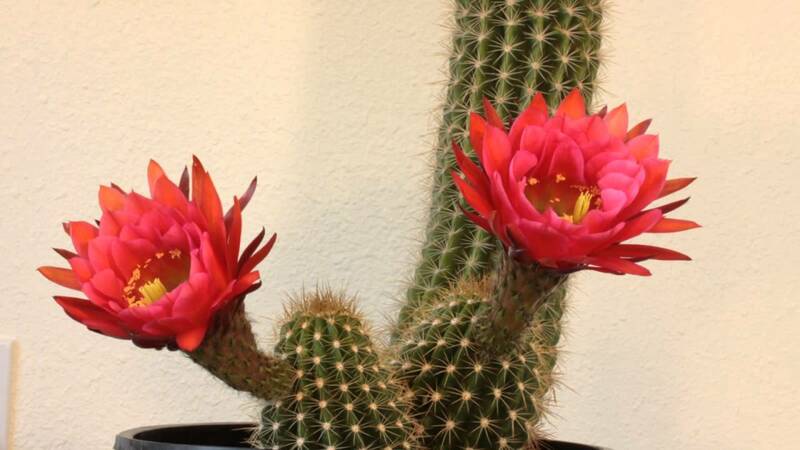 Another more long-term option is the use of Cacti. Cacti don’t require as much upkeeping as they retain water very well, yet still provide a nice burst of colour into your home! 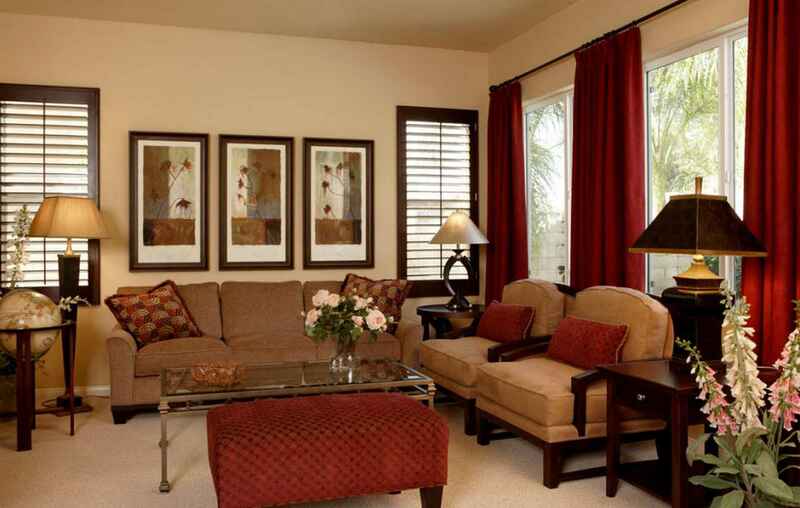 Another way to incorporate red into your interior is the use of red cushions and curtains. While you may be thinking that we’re crazy for suggesting this for a one-day event, we promise we’re not. Red curtains and cushions can not only be used all year-round. However, if you don’t want to use them all year round, you can use them in the winter months around Christmas time! Win-win. The focal point of many rooms is the rug, so what better way to celebrate St. George’s Day than the use of a red rug? 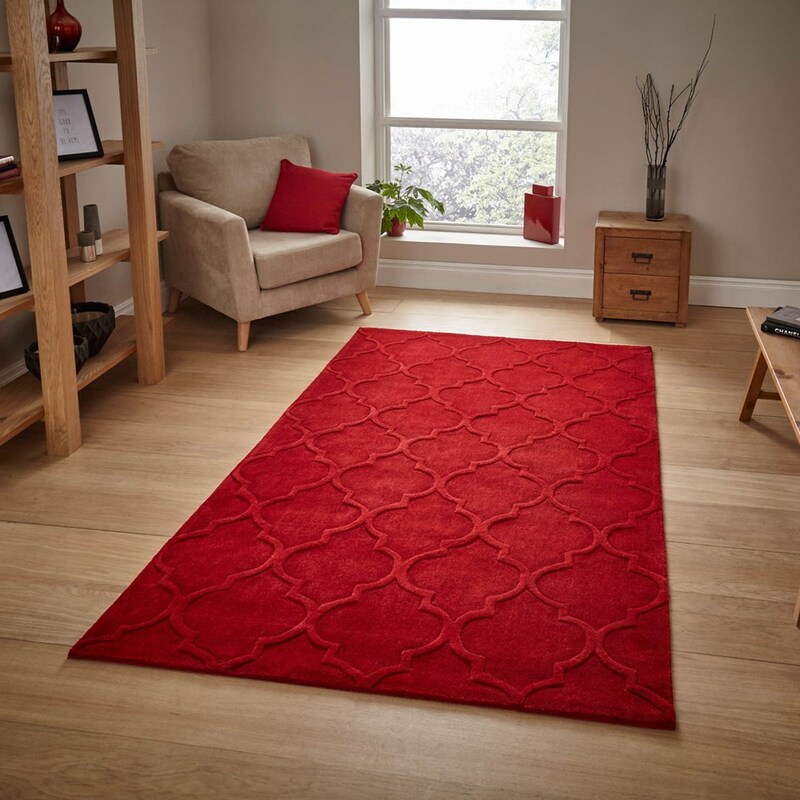 Red rugs are stylish and contemporary as well as being an eye-catching addition to any interior! 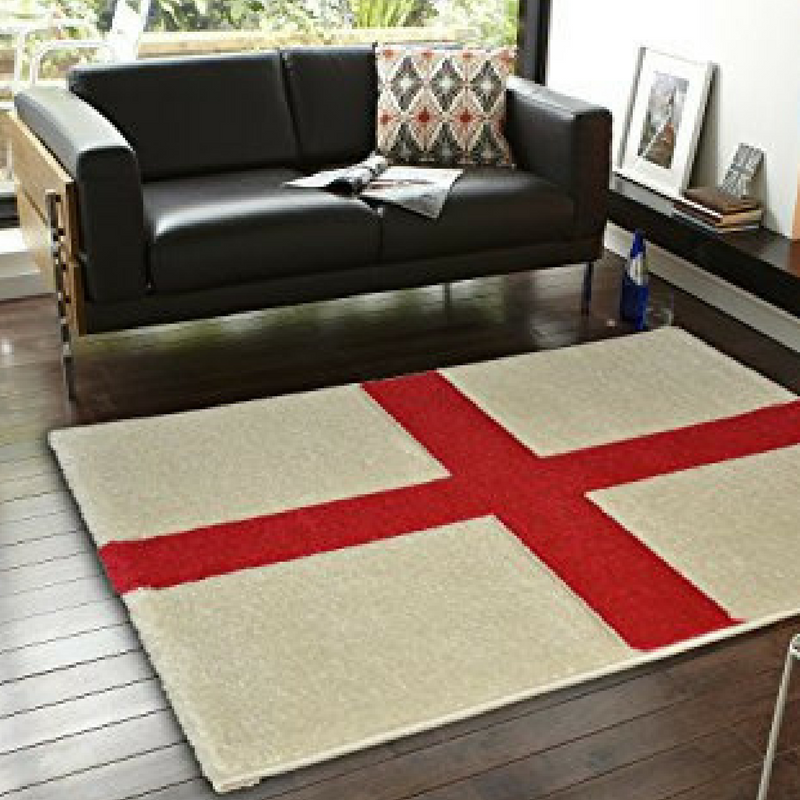 If you want a rug especially for St. George’s Day, we’ve got an England flag rug that’s perfect! Similar to the one above! 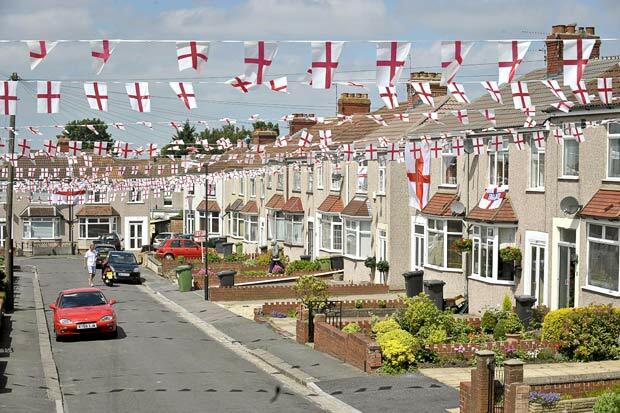 One of the most needed decorations for St. George’s Day (other than the obvious St. George’s Day Flag) is the England bunting. 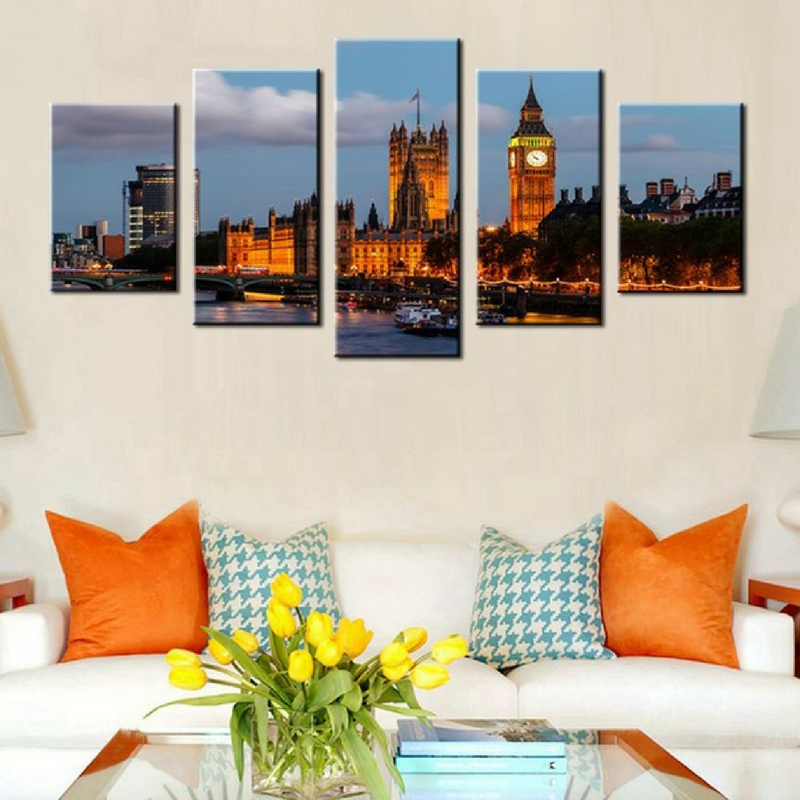 Whether your neighbours all come together to hang it up across the street, or you simply just decorate your living room with it… it’s almost a necessity! 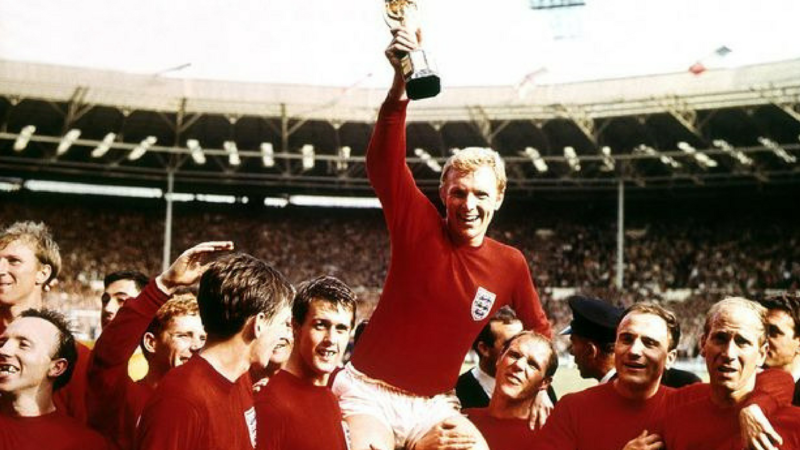 Another piece of English history that you could hang up is the photo of Bobby Moore holding up the Jules Rimet trophy in 1966. Believe it or not, that is the only time that England has ever won a world cup! St. George’s Day is a day of national pride, so it seems only right to be proud of one of England’s greatest sporting achievements! Another way to show national pride for St. George’s Day is to display pictures of various different places throughout England! 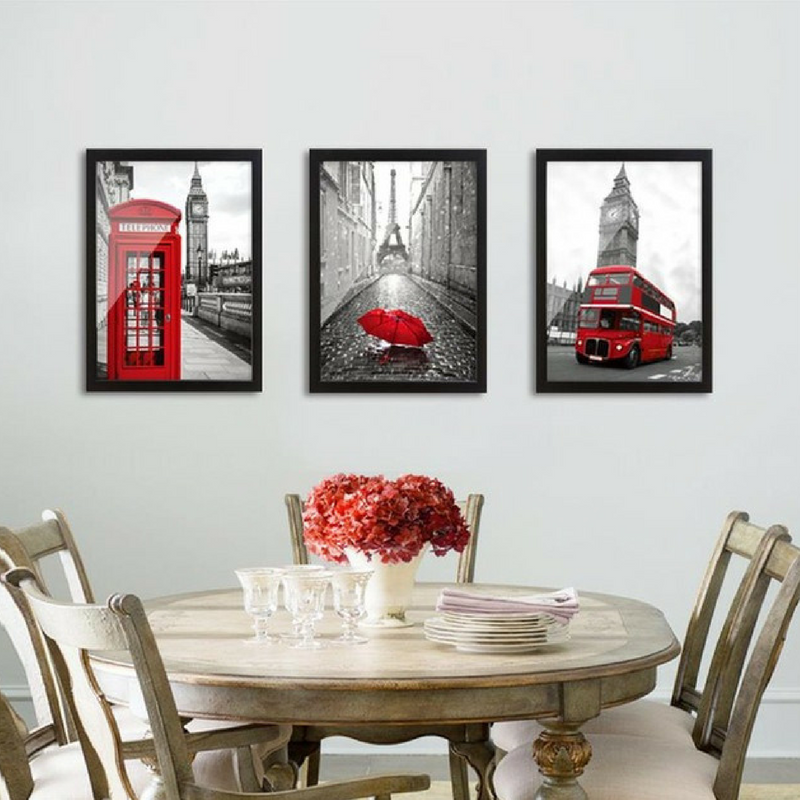 London is a popular city and there are many photos/posters of the red buses, post boxes, phone boxes and the iconic houses of parliaments and of course Big Ben! The best thing about getting an image of a popular English city is that they’re not too specific to St. George’s Day, so you can leave them up year-round! 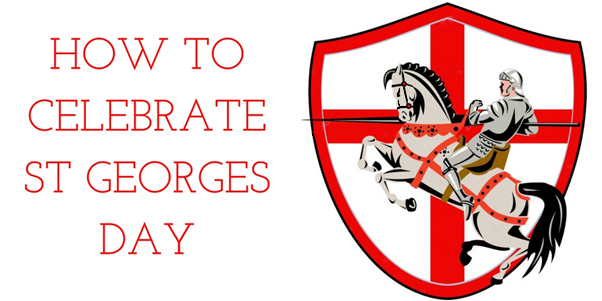 How To Celebrate For St. George’s Day! When it comes to St. George’s Day, don’t forget to celebrate it extravagantly. 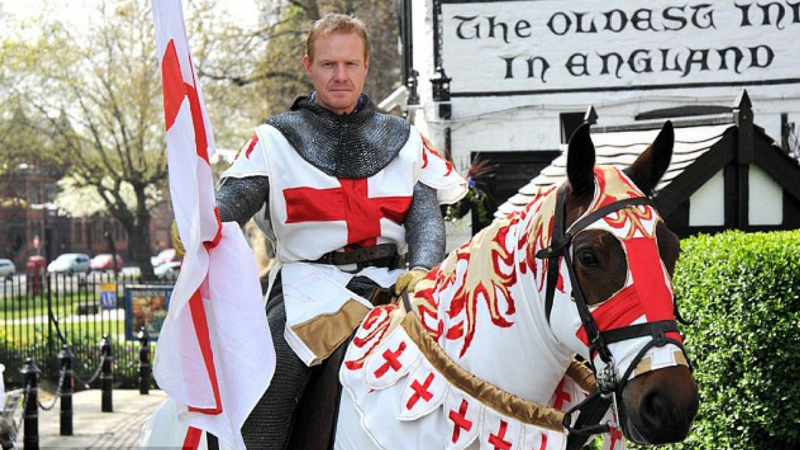 As George is the patron Saint of England, it is only fitting that St. George be revered to the utmost standard! With that in mind, we’ve put together some of the best suggestions on how best to celebrate St. George’s Day! As with any festival, there’s always an opportunity to dress up. To begin with, if you want to celebrate but you don’t want to get a silly costume, simply get a red and white t-shirt! You could even get an England football T-Shirt if you want to support the national team. This would also be beneficial for the during the Summer as England are playing in the world cup this Summer! If you’re more outgoing, more of the party type, or just enjoy dressing up, why not go all out and get a costume! Choose from classic medieval costumes such as knights or dragons but make sure the knights contain the flag of St. George! Don’t forget to carry a shield and a sword just in case you come into contact with any Dragons! 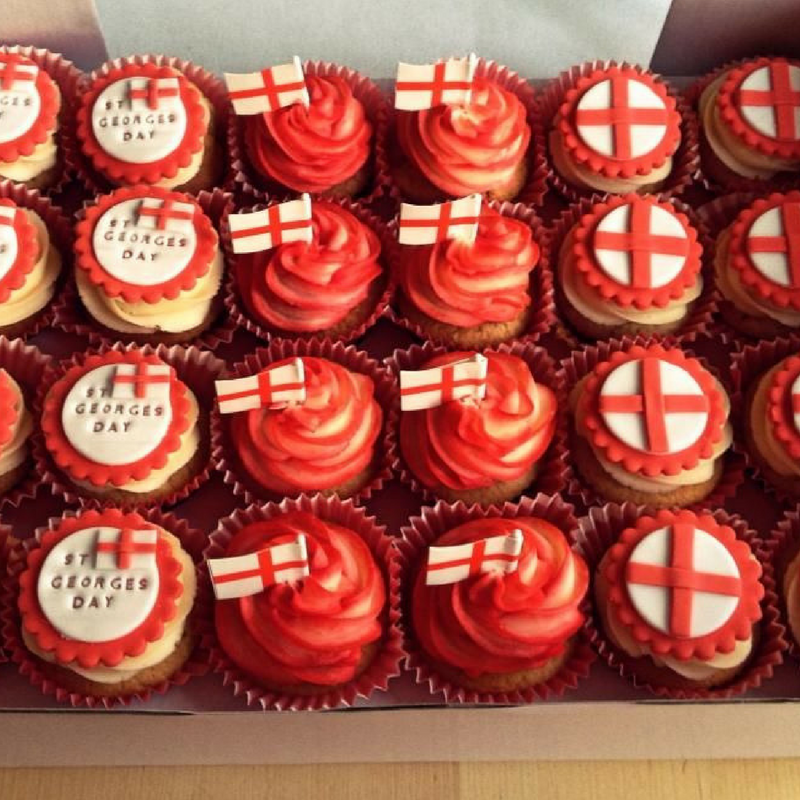 If you enjoy spending time with your family, there’s no better reason than St. George’s Day to throw a party! Get everyone round, decorate the place well and serve up some scrumptious food! If there’s a few people, a finger-food style buffet with foods such as sausage rolls, quiche, and bowls of crisps. If you’d rather go for a traditional meal, you could plan a menu full of classic English foods such as roasted lamb, bangers and mash and bread pudding! Top it off by getting the drinks flowing and sticking on some tunes by the best English musicians you can think of. 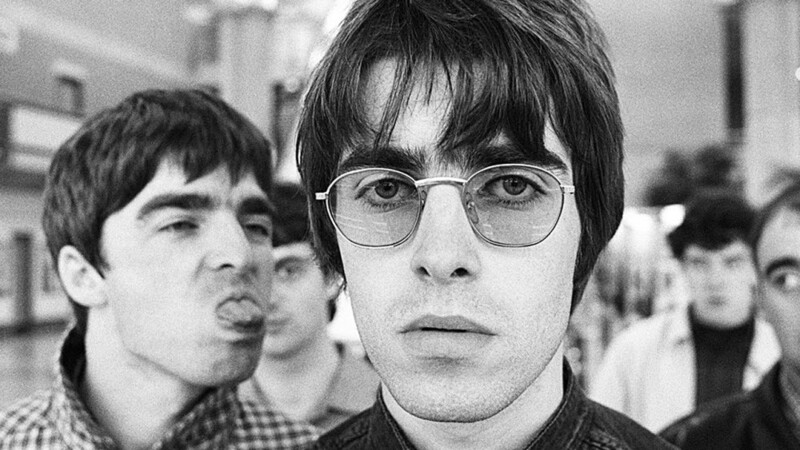 Oasis, Queen, Stormzy, The Beatles, Fleetwood Mac, Take That, Ellie Goulding, Ed Sheeran, Skepta, and Adele are all English musicians if you were worried about what music to play! Maybe you don’t fancy cleaning up after a party? In this case, just go to someone else’s! 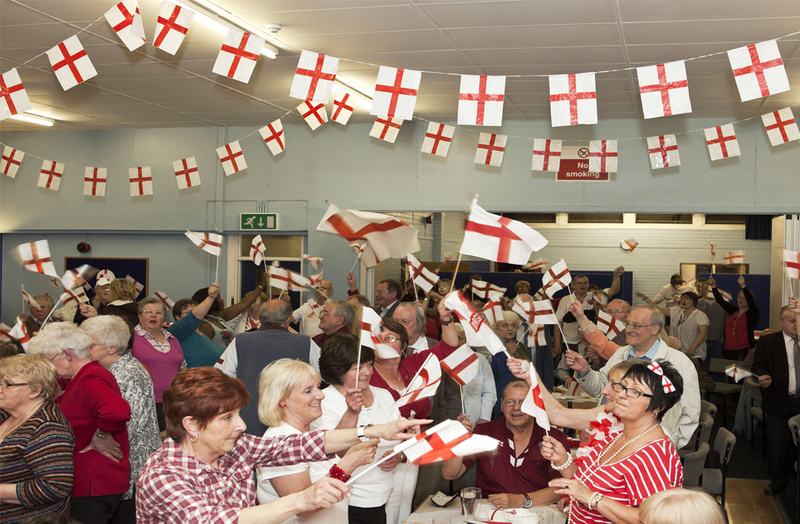 Local community clubs will most likely host St. George’s Day events and your local pubs will definitely have stuff on! Holidays like St. George’s Day are all about cutting loose and enjoying yourself. What’s a celebration without music, beer and dancing, after all! 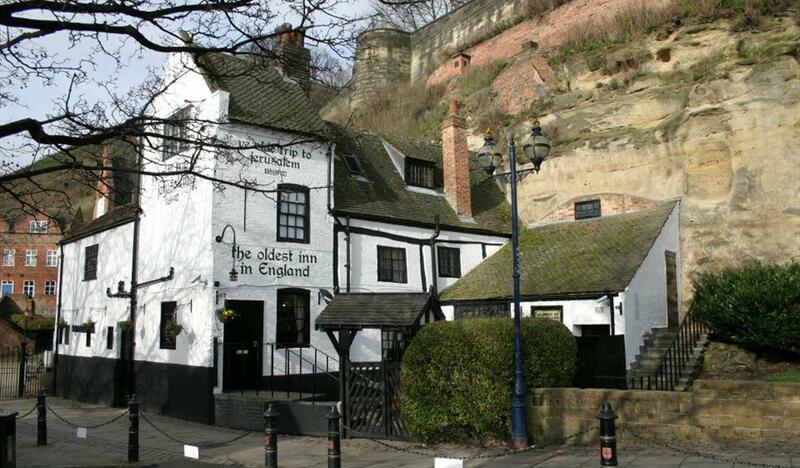 If you want to try a new pub out, how does the oldest pub in England sound? 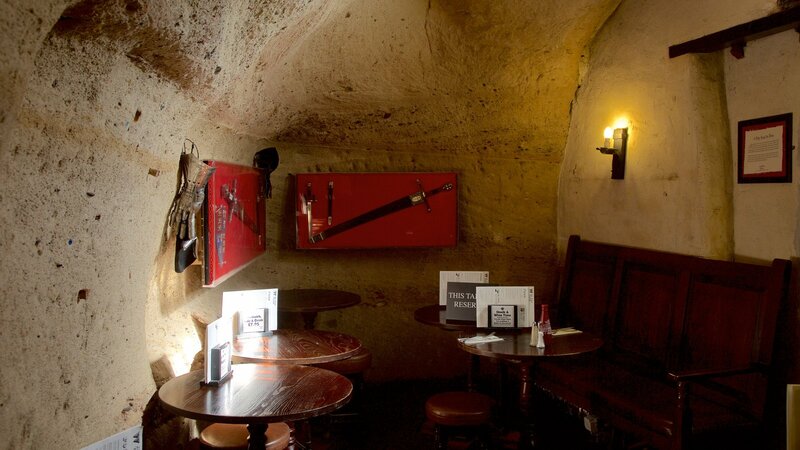 The pub dates back to 1189 and was originally a meeting place for Richard the Lionheart’s crusading knights while on their way to the Holy Land. The history of the place is fascinating with tales of ghost sightings and poltergeist-driven antics rife! After finishing a tasty pint of the house dark ale, do you think you’d be brave enough to take a tour of the pub’s rear drinking rooms and cellars? The rooms are filled with unusual relics with the cobweb-ridden ‘Cursed Galleon’ said to bring a gruesome death on all who dare dust it! Just remember not to drink if you drive here! In most areas in England, there is usually a place of historical importance such as a castle or a national trust area with a beautiful historical building often with accompanying stables at the side. 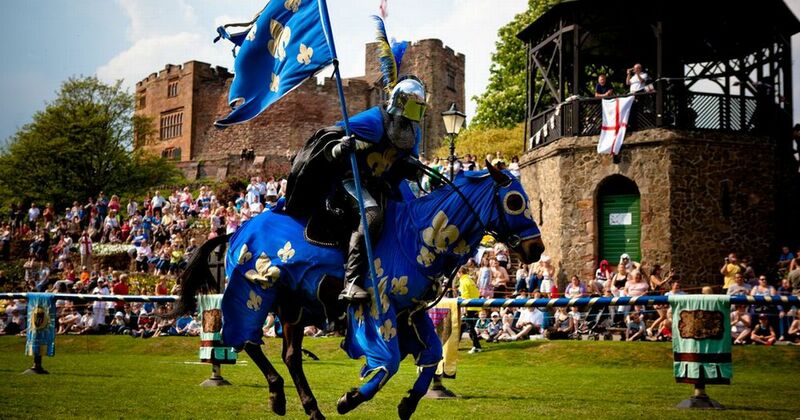 These places will often stage costumed events with people dressed up as knights and may even have events such as jousting or battle re-enactments! Perfect for a family day out! 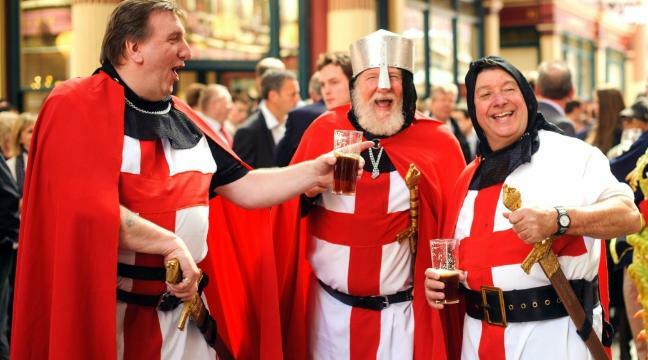 Hopefully, now you’re a little more educated about the history of St. George’s Day, and you should be more than prepared to celebrate it! 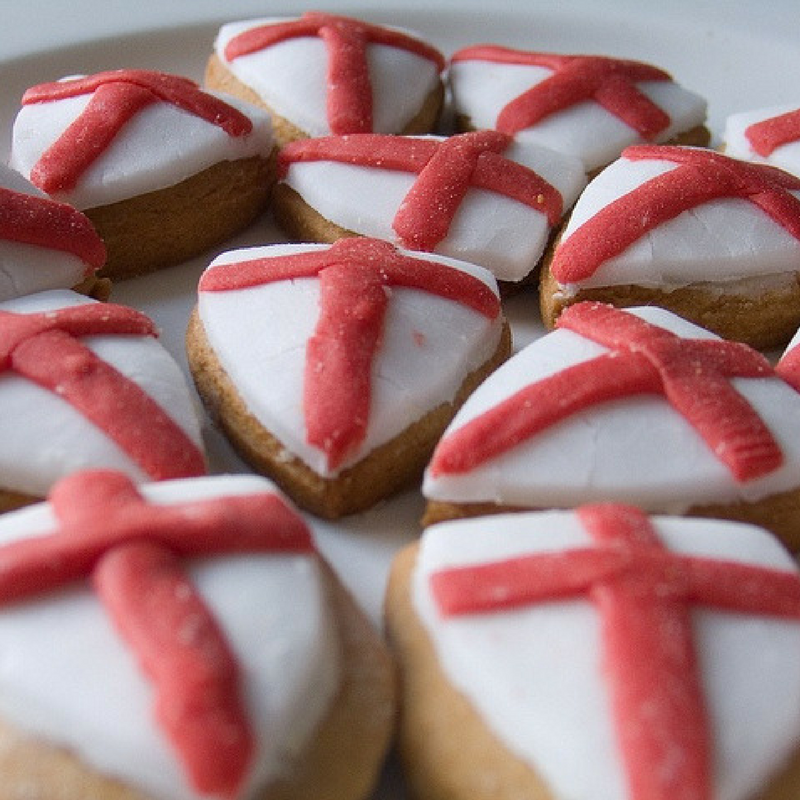 What’s your favourite thing about St. George’s day? Have we missed anything out? Let us know in the comments below! St. George's Day is a Christian celebration taking place on April 23rd... here's everything you need to know about this patron saint. 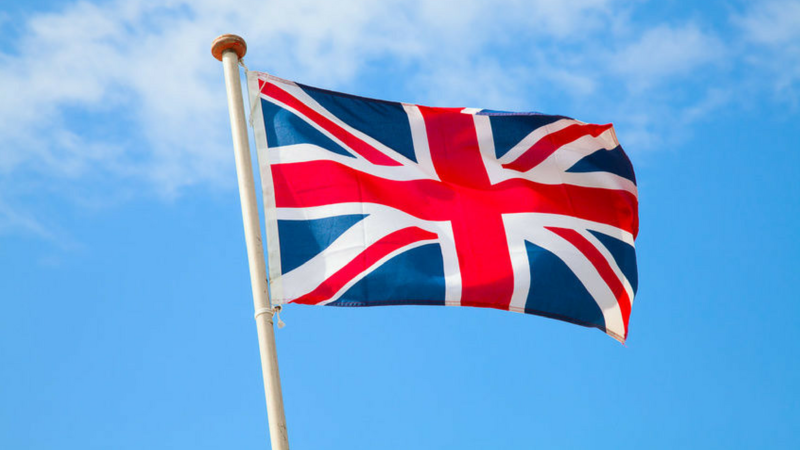 Why is there not a Union Flag rug? Why am I unable to buy a rug depicting the Union (Jack) Flag?